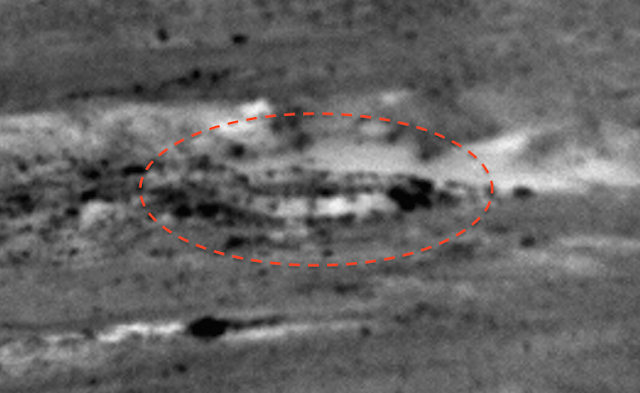 UFO SIGHTINGS DAILY: Building On Mars Found Using Rover Micro Imager Camera, March 52016, UFO Sighting News. 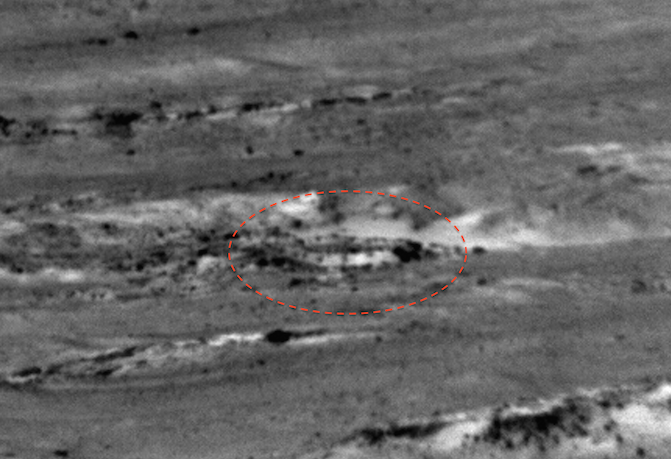 Building On Mars Found Using Rover Micro Imager Camera, March 52016, UFO Sighting News. While checking out one of the many NASA rover blogs, I noticed NASA was trying something different. NASA realized that if they used the Remote Micro Imager Camera to look at the landscape far away, it would magnify it like a telescope. Usually its been only used for observing close ups of rocks and sand, but this is out of the box thinking. Today I saw images of the Remote Micro Imager taking shots of distant hills, and flat plains in a 360 degree turn, shot after shot. Its kinda cool someone at NASA decided to utilize this camera for this new job. I found a oval shaped structure that was divided into sections, and it reminds me of the Apple Headquarters building in Silicon Valley. I colored it Yellow to make it easier to see.